Transform the look and feel of any venue with our Starlight Hire items. 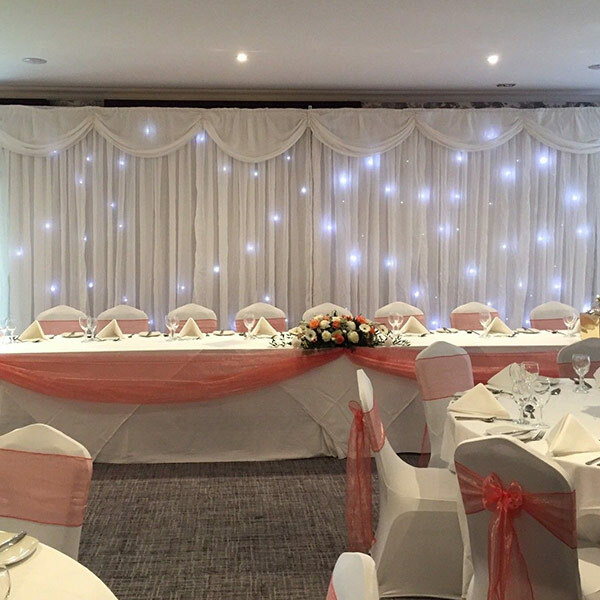 Twinkling LED light backdrops are ideal for behind a Top Table, for a complete look we also offer hire of a twinkling LED Top Table Skirt & Cake Table Skirt. Make any wedding aisle stunning with our Starlight walkthough arch, we can also add floral or balloon displays to our arches to match any scheme. 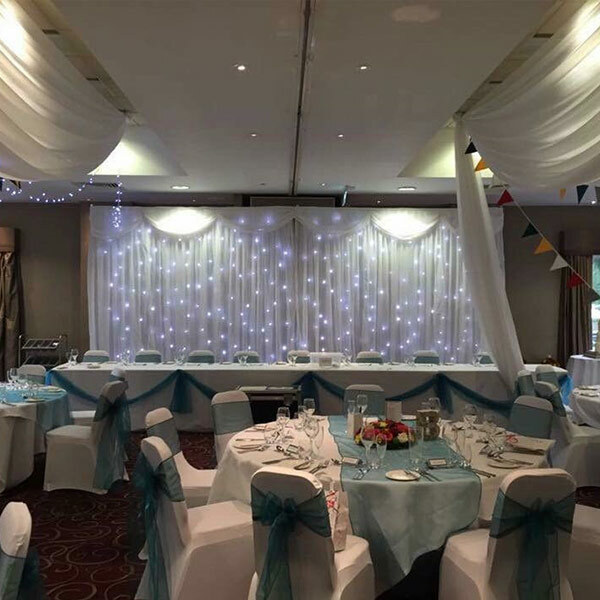 For full starlight impact we also offer full ceiling drapes which we can add trailing ivy perfect for rustic or vintage weddings. With a professional set-up and collection service included with all Starlight Hire items transforming your venue is effortless.